A ground-breaking new B2B travel alliance has been created in Asia, which is set to reshape the travel landscape by sharing hotel content, caring for its clients and delivering exceptional benefits the entire travel trade. OPP Alliance is an exciting industry-first cooperation that will initially see four major travel wholesalers in Asia team up to form a new regional powerhouse. Individually selected to cover a wide range of major markets, the original alliance partners include AntaVaya, Hotelpass Global, WebBeds and Westminster Travel. As well as strengthening and sharing hotel and travel supply, the cooperative group will exchange technology resources and best practices, improving industry innovation and drive greater efficiency. Each member will remain completely independent and WebBeds will act as the alliance’s central coordinator. The OPP Alliance will continue to seek other like-minded partners in future. Together, all partners will work together to deliver one of the industry’s most comprehensive collections of hotel content, ranging from major international brands to independent boutique hotels across Asia, which will be shared extensively between all members. In the Asian Century, one of the major goals of hotels is to penetrate into Asia’s rapidly-emerging markets. OPP Alliance will enable this by providing more effective distribution through a single partner. It will also provide considerable benefits to travel suppliers and travel agencies, thus revitalizing the Asian B2B landscape. “We are aiming to improve the direct relationships with our hotel partners and bring them closer to the action in the world of travel distribution. The alliance’s initial target is to sign up to 2,000 new hotel contracts in the first six months and promote these hotel partners aggressively to our respective distribution networks. Hotels across Asia will enjoy widespread global distribution with dynamic contracts, rate parity and improved pricing capabilities. 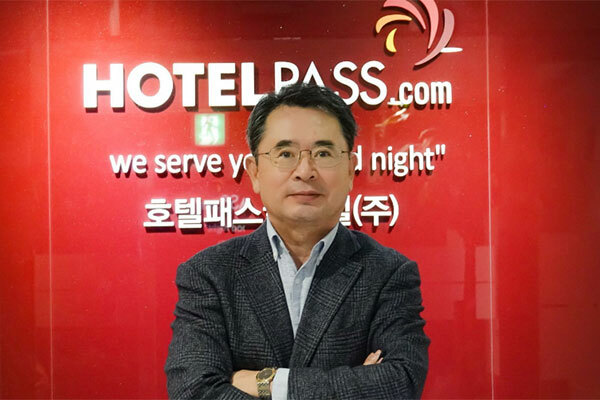 We are very excited to be part of such a pioneering collaboration,” said Brian Lee, CEO, Hotelpass Global Limited. “We know from speaking to our hotel partners that one of their major goals is to achieve more widespread distribution more effectively – including penetration into Asia’s emerging markets. OPP Alliance will enable this through a coalition of highly respected market leaders, which creates an unprecedented regional force. This makes us the perfect partner for hotels across the region, and we are delighted to be a founding member of such a dynamic initiative,” added Larry Lo, CEO, Westminster Travel. OPP Alliance members will enjoy benefits comparable to airline and hotel alliances – an expanded network, centralized coordination and the ability to offer a stronger proposition to their respective clients. By exchanging best practices and business intelligence, this coalition will also drive innovation and efficiency, while being better able to anticipate and serve the needs of the travel industry across Asia. In terms of the regional breakdown, AntaVaya will be responsible for procurement in Indonesia, Hotelpass Global will cover contracting in destination South Korea and Japan, and Westminster Travel will have responsibility for Greater China, including Hong Kong, Macau and Taiwan. WebBeds will concentrate on Singapore, Thailand and Malaysia, levering the strength of Destinations of the World (DOTW), which was recently acquired by WebBeds’ parent company, Webjet Limited. Looking ahead, OPP Alliance will continue to seek new members in other Asian markets, and across the world, as long as they do not overlap with existing members. The structure of the alliance will ensure an equal standing for all partners, whilst also allowing each member to retain its unique brand identity and sovereignty. “The OPP Alliance is truly ground-breaking – a coalition of highly-respected, professional and progressive travel companies that are experts in our own markets. Each partner will be able to leverage the strengths of the group and enjoy extensive resources to accelerate the growth of our own business. We truly believe that OPP Alliance has immense potential for expansion,” said Daryl Lee, CEO Asia Pacific, WebBeds. As the coordinator of OPP Alliance, WebBeds will provide central support and coordination, enabling partners to leverage its industry-leading technology and global platform to optimize their distribution.